#UKvUSA: What Investments Matter to Print Buyers? Matthew and I haven’t always seen eye to eye when it comes to Print Buying. He comes from the UK procurement world, and I come from the USA agency world. We used to argue about process, but over the years it has turned into a mutual respect. However, that doesn’t mean we now agree, or see things the same way! As a matter of fact, most of the time we don’t. So we decided to turn that into Print Buying: #UKvUSA and share information about our experiences from both sides of the pond! At the end of my post is a link to Matthew’s post on the same subject. We don’t know each other’s response until they are LIVE on our respective sites. Maybe we will agree, maybe we wont, maybe we don’t even see the question in the same way – who knows… that’s the fun part! If you support one side over the other let us know. I am proudly representing TEAM USA, and we share these posts with #UKvUSA on Twitter. LET THE DUEL COMMENCE! This is truly a loaded question. On one hand, based on the results of a survey I sent out to 100 advertising and marketing print production directors, they care about results and not the equipment and products that produce them. On the other hand, in order to get those results printers and service providers have to make investments that matter to their current customers, and future ones. Is it chicken or egg? AHHH! I am going to stand with my customer hat on, and let you know what would matter to me. Me. Yes, I matter to me and that will be the one thing you can always count on. Your investments have to matter to me beyond a single project; they need to be long term valuable to me as far as my career, my thought leadership position within my company, my circle or peers, and potential employers. A new technology that can replace another may have advantages for you, but in order for them to matter to me I have to understand what it can help me do beyond what I am already doing. The best way to tell me all of that is to show me. My survey respondents also agreed with this. Time. If there are ways that you can invest in saving your customers time, look for them. Have you heard of arifiQ? They were in the Printerverse Alliance at Graph Expo 2015 and their platform can literally generate custom print quotes in minutes vs days. Web2Print ordering, apps that connect me to your business and my work – whenever I need information, from wherever I am, faster presses and technologies that help cut my production time, all of this matters to me. You. If I have invested time in our relationship, I really don’t want to have to start over somewhere else. Keeping up with the competition is a minimal requirement, and staying ahead of them keeps the return in my investment with you from dissipating. ATTENDING TRADE SHOWS AND INDUSTRY EVENTS is something your company should be budgeting for. Do your research before hand, and go in prepared. Make time to walk around and discover new things, for educational opportunities and always for networking. I go to many events these days so I am at least one person you can say hello to, and I may even have connections and information to help you make your investment plans. 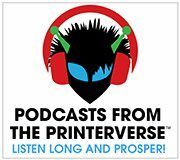 Next big thing for me is The Printerverse at Graph Expo 2016 Sept 25-28. Hope to see you there! Print Buyers… join us on LinkedIn: Marketing and Advertising Print Production Managers and Print Buying Pros. This group is private and closed to all vendors and suppliers. Everyone else, join us in Print Production Professionals and join in the conversations! Deborah Corn is the Intergalactic Ambassador to The Printerverse at PrintMediaCentr, a Print Buyerologist™, Integrated Marketer, Industry Speaker and Blogger, Cultivator of the Print Production Professionals Group, the #1 Print Group on LinkedIn, and host of the weekly industry #PrintChat on Twitter. 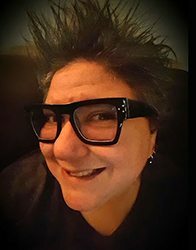 She has more than 25 years experience working in advertising and marketing, and currently works behind the scenes with printers, suppliers and industry organizations helping them to achieve success with their cross media and social media marketing endeavors. Connect with Deborah through any of the social channels on PMC!